Giora Shimoni writes, "my sister-in-law, with her six children and job as a realtor, doesn't have much time to cook. But she is neighborhood-renown for her egg salad and tuna salad. Her fridge is always stocked with these salads, so her kids can easily make themselves sandwiches. 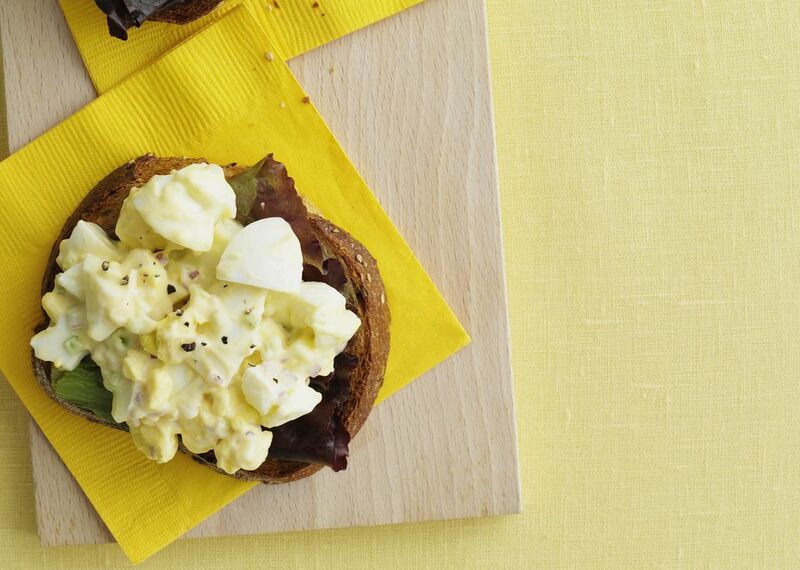 Her egg salad recipe proves, once again, that sometimes simple is best." Shimoni suggests serving the egg salad scooped onto a bed of lettuce, or enjoying it sandwich style on your favorite bread or a bagel. Shimoni's sister prefers light Miracle Whip mayonnaise in her egg salad, but feel free to use favorite brand (regular or light). Dijon mustard makes a flavorful alternative to the yellow mustard in this recipe. Not a fan of relish? Try fresh herbs, such as finely chopped chives, instead. Make It A Meal: Pack a picnic (make sure to take a cooler, plenty of ice packs, and practice safe food handling!) Bring pita, baguette, tortilla wraps, or other favorite breads, lettuce and sliced tomato, and this egg salad for DIY sandwiches. Tote along container of complementary salads, like this Avocado, Hearts of Palm, Edamame & Za’atar Salad, or this feta-optional Romaine Salad with Sun-Dried Tomatoes and Pecans. Pack a thermos of iced tea, and some Mint Chocolate Chip Brownies for dessert, and you're good to go! Arrange the eggs in a heavy saucepan or pot large enough to hold them in a single layer. Add enough room temperature water to cover the eggs by 1 inch. Cover the pot and bring to a full boil over medium high heat. Boil for 2 minutes. Turn off the heat, and let the eggs sit in the covered pot for 20-25 minutes. Using a slotted spoon, transfer the hard-boiled eggs to a colander. Run cold water over the eggs. (If you have ice cubes, place some on top of the eggs.) If you do not use cold water or ice to cool the eggs quickly, then the eggs will be hard to peel. Chop the eggs and transfer to a large mixing bowl. Add 6 tablespoons of mayonnaise, 1 teaspoon of mustard, 1 teaspoon of relish, salt and pepper. Mix well, taste, and add additional mayonnaise, mustard, and/or relish if desired, Season to taste with additional salt and/or pepper, if you'd like.